Northwest Hotel Investor is driven to provide a superior, comprehensive service that brings market expertise, value, growth, and accountability to you and your lodging asset. Travel & Tourism is among the world's largest industries, making hotels a traditionally reliable asset for providing a competitive total return. In this exciting category, our team believes the process of hotel investment should not only prove to be successful, but also enjoyable. Our founder, Brian Resendez, discovered his love for working in the hospitality industry before he turned the age of 20, leading him to gain broad experience under national brands Hilton and Westin, and at several other independent and resort properties. With the creation of NWHI, Brian merges his early passion for hospitality with his present calling in commercial real estate. NW Hotel Investor works with a wide variety of clientele as buyers or sellers for limited-service and full-service hospitality assets including all-suite, extended-stay, boutique, and resort properties throughout Oregon, Washington, Idaho, and other Western states. We are proud to generate business that highlights this exceptional part of the country, and brings growth and success to the place we love to call our home. Backed by national presence SVN Hotels, we manage local and national hotel and land deals for clients from both within and outside of our region. With individually owned and operated franchised firms in more than 150 markets in the US, SVN makes it possible for NW Hotel Investor to practice locally and reach clients nationally to get deals done. While completing bachelor's and master's degrees in Hotel and Restaurant Management from The University of Houston's Hilton College, our founder, Brian Resendez, landed his first hospitality management position as Conference Services Supervisor for the Woodlands Executive Conference Center in The Woodlands, Texas. His pursuit of this profession would lead him to work in the US and Central America for marquee branded properties like Westin and Doubletree, as well as at several ski and golf resorts. Brian relocated to Seattle in 2001. He then arrived in Portland in 2004, where he set down roots and began his Real Estate career, initially concentrating on brokering investment single family and multi-family properties, while also working as a loan officer. 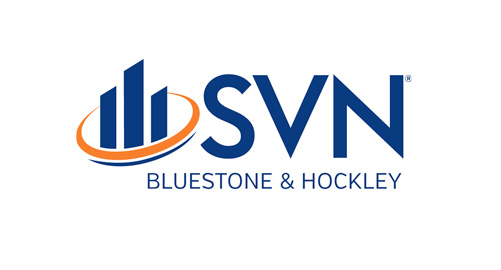 The local boutique firm elevated to a national platform in 2011, joining with the renowned Real Estate presence SVN to form SVN | Bluestone & Hockley. The following year, Brian earned the honor of representing SVN as Vice President of the Hospitality Product Council at the 2012 Americas Lodging Investment Summit (ALIS) Conference. Brian further built his strong foundation of knowledge by earning dual Certifications in Hotel Real Estate Investment and Development from Cornell University’s School of Hotel Administration. He also recently completed the demanding process of achieving Certified Commercial Investment Member (CCIM) designation. Brian and his Northwest Hotel Investor team keep current of shifting market activity through their considerable professional relationships, and by regularly attending essential regional trade events, including meetings for Oregon Restaurant & Lodging Association (ORLA), and Washington Hospitality Association (WHA), Asian American Hotel Owners Association (AAHOA), as well as national events, including The ALIS Conference, and The Lodging Conference. Additionally, Brian is a member of the Cornell University Hotel Society and the Hilton College Alumni Association, and serves as a Board Member of the Latino Hotel Society. The hotel properties sold by Brian are both prominent and diverse, and in some cases have involved complicated transactions. Click this link to view all of Brian's sold properties. He currently enjoys the distinction of top grossing broker for SVN | Bluestone & Hockley, and is among the top 10 grossing brokers for SVN internationally. SVN awarded him the Achiever Award in 2014 and the President's Circle Award in 2016. As the foremost Real Estate hotel broker in his region, proudly celebrating 10 years of hotel brokerage, Brian Resendez and his team at Northwest Hotel Investor are well-positioned and ready to maximize the transactional success of your hotel and/or land investments in the Pacific Northwest. Brian Resendez, CCIM serves as Senior Vice President Hotels & Land for SVN | Bluestone & Hockley in Portland, OR, and is Founder and Owner of Northwest Hotel Investor. He specializes in the sale of hospitality properties and land for development in the Pacific Northwest, USA. An accomplished real estate broker since 2004, Brian began his real estate career in finance and by assisting with the acquisition of investment single family and multi-family property sales. He then started working in hotel brokerage in 2007, and has since become one of the leading experts in the local community for hotel sales and acquisition. He has been involved in the purchase and sale of multiple hotel properties in Oregon and Washington including branded and non-branded assets. Brian has completed the demanding process of achieving Certified Commercial Investment Member (CCIM) designation. He has also earned dual Certifications in Hotel Real Estate Investment and Development from Cornell University’s School of Hotel Administration. He also holds both a Bachelor’s Degree in Hotel and Restaurant Management and a Master’s Degree in Lodging Administration from the University of Houston’s Hilton College. Brian is active in both regional and national organizations such as Oregon Restaurant & Lodging Association (ORLA), and Washington Hospitality Association (WHA), Asian American Hotel Owners Association (AAHOA), The Americas Lodging Investment Summit (ALIS) Conference, and The Lodging Conference. He is also a member of the Cornell University Hotel Society and the Hilton College Alumni Association, and serves as a Board Member of the Latino Hotel Society. Previously, Brian worked as a hospitality manager in the USA and Central America with Westin, Doubletree, and several ski and golf resorts. Brian also worked as a loan officer and brings strong knowledge of real estate finance needed to make transactions work in today’s difficult lending environment. While not at work, Brian spends time with his family, playing golf, or snowboarding. Michelle Reid serves as Director of Marketing and Business Development for Northwest Hotel Investor. She is dedicated to developing professional marketing material and targeted campaigns tailored to the specific needs of Northwest Hotel Investor’s clients as well as promoting and expanding the company within the hotel investment community. In 2010, Michelle began her real estate career as Brian’s assistant helping to organize business operations and raise the bar for marketing standards. Licensed in Oregon in 2012, she began actively expanding her knowledge of the Pacific Northwest hospitality markets, database development and real estate brokerage. Together, Brian and Michelle have developed a reliable, organized and dynamic team dedicated to serving the needs their clients. In 2004, she graduated from The George Washington University with a bachelor’s degree in International Relations and a concentration in East Asian Studies. After college Michelle worked in her home town of Burlington, Vermont in various roles assisting small businesses with marketing and business development until moving to Portland in 2009. She specializes in marketing, market research, database development and business development. Her innovative strategies, solution oriented attitude and tireless desire to learn make her a valued member of the team. She has traveled extensively and enjoys spending time with her family and exploring the natural beauty of the Pacific Northwest. From the first day a property is listed, SVN Commercial Real Estate Advisors market their properties on a national basis to the entire 100,000-strong brokerage and investment community via real-time syndication to the major listing sites, social media and email campaigns, and our SVN LiveSM Open Sales Call. Because their national and global reach includes primary, secondary, and tertiary markets, SVN Advisors have an advantage when it comes to locating investment options on behalf of clients across the world as they leverage the power of all brokers — even those with competing firms. How do we do this? By creating incentives to cooperate for not only our own Advisors, but for all brokerage professionals.